Online Trading Platforms | Types of the best trading platforms. If you decide to start off as an investor in trading market then you would wonder not only about which broker to choose, but what tools to utilize in your trading activities. The vast majority of brokers now provide two types of online trading platforms: web-based and mobile. There is no need to download and install complex tools such as MetaTrade 4 as in Forex. Everything nowadays is done simply online, which is great, as you can access your trading account from anywhere in the world using pretty much any device with Internet connection. First of all, rest assured that your account is highly protected as you need a login and password, which are known only to you. Withdrawal procedures usually require a minimum of one day and can be payable only to a banking account in your name. Anyways, it is important to use secure connection not to allow fraudsters to access your account. If you still have any concerns about safekeeping your account, feel free to contact your brokerage company for details. Secondly, the standard online platform used by more than 70% of brokers is SpotOption trading platform, which is renowned for its safety and reliability, as well as ease of use. SpotOption trading platform is highly customizable, so every brokerage firm has its own unique features. Presently, more than 250 companies employ the services of this best online trading platform with over 5 billion US Dollars in volume per year. This trading tool can be used for various mobile devices with Android online trading platforms, IPhones and IPads as well. 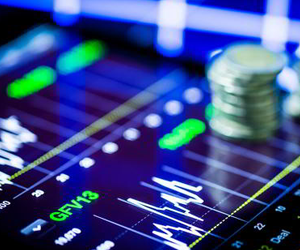 As for the other part of the trading community investing with brokers with individual and personalized online trading platforms, they vary greatly to suit their niche clientèle. Among these you can find some great innovative tools to trade and some flops, which are not worth mentioning. Such brokers usually do not support mobile trading, which is, of course, a great drawback. The great bonus is the possibility of trading using both Windows and Mac operating systems. The recommended browsers are Chrome and Mozilla Firefox. By all means do not use the standard Internet Explorer or Opera, as this software is prone to glitches beyond the reach of brokers or trading platform providers. Finally, depending on your trading style you can use different online trading platforms through several brokers, employ mobile trading or simple web-based technologies, the whole point lies in your satisfaction and profitability. Feel free to choose the best online trading platform​ you like and you are sure to succeed in your investing efforts.